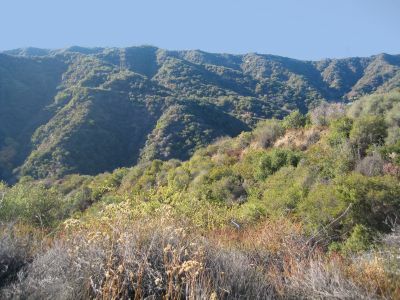 The Santa Monica Mountains run from Point Mugu in Ventura County, California into the famous hills of Hollywood, California. As the barrier between the Valley and west-central Los Angeles, one crosses the Santa Monica mountain range when one “goes over the hill,” in the parlance of locals. The mountains have more than 1,000 sites of archeological significance, particularly in regard to the Tongva and Chumash people. Host to an immense variety of wildlife, from mountain lions to the endangered steelhead, the Santa Monica Mountains are both a refuge for animals and plants and an escape from the big city for human Angelenos.